Here at GroWild HQ we offer an exciting opportunity for kids to play, explore, make, climb, build, learn new skills and grow wild in a woodland environment! The activities we offer are both adventurous and educational enabling children to become immersed in their experiences, take risks, learn new skills, make life-long friendships and connect with the natural environment. GroWild is staffed by fully qualified forest school leaders and assistants; key members are highlighted below. In addition we use contract and volunteer staff to ensure a range of skills and practices for the different groups we work with. All of our staff have significant experience of working with children and adults, undertaking ongoing professional development training including safeguarding and outdoor first aid. Holly has been working with children for over six years providing creative, sensory and crafty workshops across East Anglia! 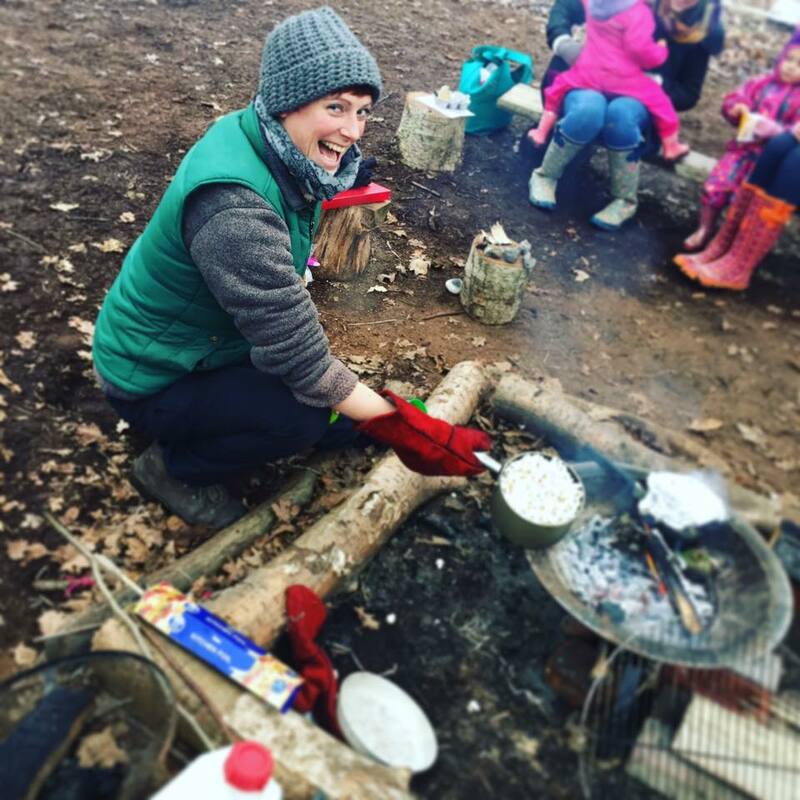 She has been running outdoor events at White House Farm for over three years and has completed her Level 3 Forest School Practitioner training. Holly is supported by a dedicated team of outdoor education specialists including forest school leaders, play leaders, bushcraft instructors, green wood workers and environmental artists. Jon Gibbs is a qualified Ranger and Bushcraft instructor based in North Norfolk. Jon has worked in conservation and tree management for 23 years as a tree surgeon, Arboriculture Officer and Country Park Ranger. For 13 of those years he was Head Ranger on a country park in Cambridgeshire where he managed 110 acres of mixed woodland and grassland, and led a team of Rangers carrying out all aspects of conservation, providing nature related events and other activities for adults and children. Vicky has always been intrigued and excited by the natural world. She has over seven years experience working in wild places from the rocky coasts to wild woods and urban parks. Vicky is a Level 3 Forest School Practitioner. She is also a GNAS Archery Leader, is soon to complete her OCN Working with Challenging Behaviour in the outdoors qualification, and has attended an IOL approved bushcraft competency training course to enhance her skills further. From a background and degree in Primary Education, Emma has spent time in the classroom and has worked with a range of young people with special education needs as well as working with challenging behaviour. Emma is a BCU UKCC Aspirant Level 3 Canoe and Kayak Coach. She also has qualifications in archery, bushcraft, climbing and abseiling, pool lifeguard, food hygiene, child protection and is a Level 3 Forest School Practitioner. Currently studying for her Level 3 in Forest School Leadership, Katie has a wealth of experience in ecology and understanding of the natural environment. Katie assists with the set-up and day to day running of our courses, working with all user groups and using her skills and calm nature when working with children and families on site. Katie is now a key member of the team with an eye for detail and excellent marshmallow toasting skills! In a league of his own, Harry runs the woodland on a daily basis managing everything from rabbit control to biscuit crumb hoovering. Small in size but big in character Harry can often be found snoozing next to the GroWild campfire! Frankie is a qualified primary school teacher, Level 2 Forest School Practitioner and archery instructor with a love of folk music and historical re-enactment. Honouring the changing seasons with ritual and celebration, her spiritual path is in tune with nature. Frankie lived in Finland for 5 years. Inspired by the Finnish education system, she decided to expand her career with forest school. She is a member of FSA Norfolk. Do you have an interest in working with young people outdoors? We are actively looking for new team leaders to run; seasonal and holiday club sessions for 6-12 years, weekend birthday parties, school and early years workshop days and adult bushcraft courses. Level 3 qualification desired. We have multiple spaces for leaders and assistants who are looking to gain skills, experience and insight into an outdoor setting. Work with children and adults of all ages in a fun, structured and educational environment. Must be available for weekend and holiday work.